Through his New York Times columns, his 20 cookbooks and beyond, Mark Bittman has mastered the art of meeting the "student" where we are. His novel recipe formats--from the "Recipe Matrix" to "Vegan Before 6" to the "Choose Five" approach--have made cooking less intimidating, and more creative. In the last episode of Lunch Agenda's Fall "Teaching Food" series, Bittman reflects on his work as one of America's most famous teachers of home cooking. How do city folks learn to grow food in their urban garden plots? And how do farmers learn to grow food in huge quantities on production farms, with all of the machinery, strategic planning, and environmental knowledge it requires? Kiko catches up with three food growing teachers: Shawna DeWitt and Attila Agoston of Mountain View Farm in Neersville, VA and Dana Bourne of the Brooklyn Botanic Garden and Grow NYC. We talk about what techniques they think are most important for rural and urban food growers to know, and get their recommendations for each of us to seek out agricultural learning opportunities wherever we live. Sasha Bernstein-Skon of The Cooking Project in San Francisco and Elizabeth Bennett-Parker of Together We Bake in Alexandria, VA are growing the pool of talent for the restaurant industry nationwide while providing life skills like confidence and self-sufficiency to their students. Kiko interviews the two entrepreneurs about how their non-profits teach culinary curriculums that open doors to careers in the kitchen. As a culinary educator focused on eating well on a budget, JuJu Harris starts classes by sharing her own story of growing up with overweight parents and raising her children using SNAP and WIC benefits. During her popular cooking demonstrations, she imparts wisdom about buying food, getting the most value possible from what's in her kitchen, and growing what she can herself. On today's show JuJu shares a few of her favorite tips and reflects on the sacrifices required to teach food insecure neighbors about healthy eating. Lola Bloom (Director of Food and Wellness at DC Bilingual) and Jenn Mampara (FRESHFARM's Director of Education) are together responsible for thousands of Washington, DC kids being schooled in cooking and gardening. Kiko digs into their approaches to aligning the classroom with the cafeteria in pursuit of healthier students. Kiko kicks off the fall back-to-school season in conversation with the woman who may be more responsible than anyone for what is taught about food in school: Marion Nestle is the Paulette Goddard Professor of Nutrition, Food Studies, and Public Health, emerita, at New York University, and author of ten books. She discusses her approach to Teaching Food, from cooking lessons in elementary school to political advocacy campaigns for college students. We live in the era of fast casual, where it's increasingly easy to find higher quality food on the fly. But what happens to the quality of food at a fast casual restaurant when it grows from 1 location, to 5 to--in the case of Honeygrow--32 restaurants across the country? Our BIG FOOD Stars series continues in conversation with Daniel Abelson, Purchasing and Logistics Manager for Honeygrow, about how his BIG fast casual chain is scaling nationally, responsibly. 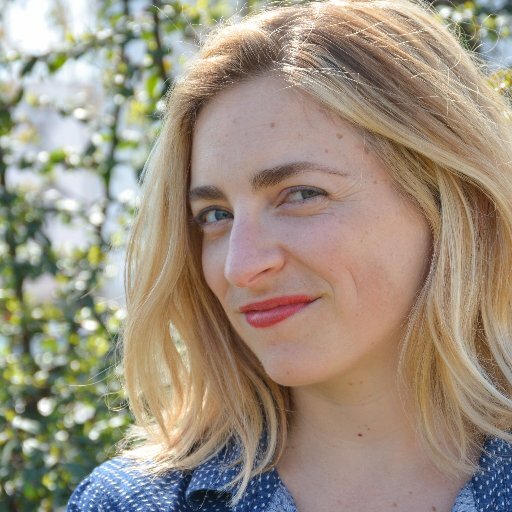 Maddie Morales, Outreach Coordinator for The Common Market, chimes in about the impact restaurant chains that prioritize local sourcing can have on farmers and foodmakers. Let's see if we can turn our preconceived notions about the food system upside down! If you, too, have learned to assume the worst about BIG FOOD, Lunch Agenda's new series is for you. We'll hear from leaders who are pushing forward big food businesses in innovative ways that offer positive societal externalities. In this first episode of "BIG FOOD Stars", Amaris Bradley of Partnership for a Healthier America explains how they convince huge corporations to cut sugar, sodium and saturated fat from their products. Then Jeff Lenard of the National Association of Convenience Stores shares how its Partnership has led to improved fresh food and beverage offerings (and more) at over 75,000 stores across the US. Lunch Agenda's Food Admin series has showcased jobs that are often overlooked or undervalued in our food system. The series closes in conversation with two successful food marketing executives: Jen Pelka of SF-based The Riddler and Magnum PR, and Nikki Rappaport of national fast-casual Mediterranean chain Cava. Kiko digs into their work in branding, promotion and beyond, and learns how they measure success in a field traditionally devoid of data. Leah Campbell recently wrote about Human Resources, “In many restaurants in this industry, big and small, there is no one in this role. There’s a simple enough reason: restaurant margins are razor thin, and HR isn’t seen as contributing to the bottom line.” Lunch Agenda's third dive into lesser-known food jobs features Leah, Owner and HR Director of Hart's and Cervo's in NYC, along with Clare Parker, HR Director of Neighborhood Restaurant Group. Tune in to learn how HR does contribute to the bottom line (and to many other aspects of a food business’s sustainability). As Administrative Assistants, Sheila Gilbert and Shannon Bailey have set the staff culture at the food nonprofits where they've worked. Beyond that, they have literally sat on the front lines of the Washington area’s fight against hunger. 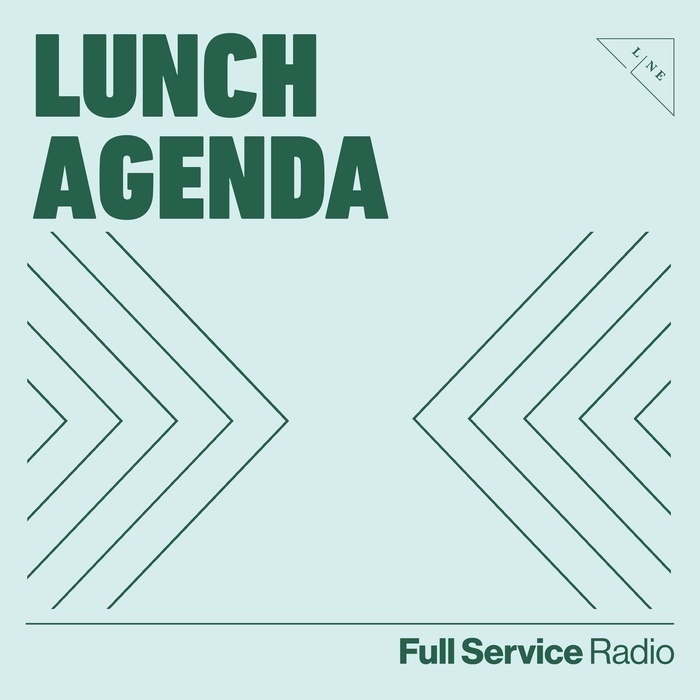 The second episode in Lunch Agenda's "Food Admin" series shines a light on administrative assistants as a service corollary to those who serve us in restaurants. Kiko kicks off Lunch Agenda's "Food Admin" series in conversation with Matt Hetrick, an accountant that helps make food business clients sustainable. Matt describes the compromises he guides restaurants through to hit their targets, and shares financial tips for aspiring food biz owners. Stay tuned for the rest of the Food Admin series, which will illuminate other roles that are often overlooked or undervalued in our food system. Instacart co-founder Max Mullen goes head to head with Glen's Garden Market founder Danielle Vogel in #LunchAgenda's first live on-air debate, about the future of the grocery distribution industry. Over the past five years, we’ve seen mega-retailers like Target and Walmart become increasingly significant players in the grocery space and come to sell even more organic food nationally than natural-oriented grocery chains. We most recently have watched Amazon’s take over of Whole Foods lead to changes in the chain’s product assortment, and pilots of cashier-less grocery stores. So what should we as consumers expect next? Will brick and mortar grocery stores continue to be a viable model, or will customers increasingly stay home and order our food online? And most importantly for Lunch Agenda listeners, who believe in voting with our dollars, which model do we want to use for getting groceries to our homes 10, 20, and 50 years from now? First question on today's #LunchAgenda: where are the women in bread?? We shared theories before diving into the history of grain agriculture and milling in the Mid-Atlantic, and exploring how farmers might revitalize a local grain community moving forward. Kiko welcomes Steve Dryden, Executive Director of Friends of Peirce Mill (located in DC's Rock Creek Park) to the studio, along with Jason White, a University of Maryland researcher who studies efficiency and environmental implications of grain agriculture, and spearheads the Grassroots exhibition at the US National Arboretum. SEYLOU Bakery & Mill opened three months ago in the Shaw neighborhood of DC, and the town has been lining up for their bread and pastries. Bakers Jonathan Bethony and Charbel Abrache share their secret to turning whole grains into tasty, chewy loaves of bread and airy, flaky croissants--against all odds! The team describes their "whole farm philosophy", and co-owner Jessica Azeez offers insights about the herbal tea program at SEYLOU's cafe. Grab your notebook! Kiko interviews Ona Balkus, legislative counsel for DC Councilmember Mary Cheh, who guides us on how to advocate with local government--including a primer on the budget cycle, just in time to get involved this spring. The last episode of our Food at School series introduces two new initiatives for making school food fresher and crunchier. 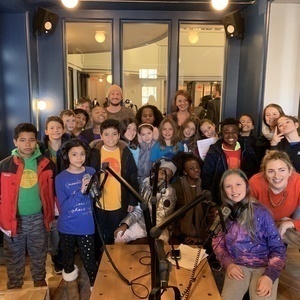 Kiko talks with Morgan Maloney and Christie St. Pierre about putting salad bars into 141 Virginia elementary schools, and hears from Kelsey Weisgerber about building Mundo Verde Bilingual Public Charter School's first kitchen. Kiko kicks off the Food at School series in conversation with leaders from the Capital Area Food Bank and Martha's Table. Through their collaboration on Joyful Food Markets, the non-profits are using elementary schools as a place to provide groceries to families when barriers stand in their way to getting food elsewhere. The final episode of the Groceries for All series offers hope of groceries coming to an underserved neighborhood in Ward 8. Philip Sambol discusses how his business Good Food Markets, coupled with his non-profit Oasis Community Partners, will soon offer an alternative to the traditional big box model. The first Lunch Agenda series, Groceries for All, explores why, in our nation’s capital, good food still can’t be taken for granted. On Saturday October 14th, hundreds of DC residents walked to downtown Anacostia from the nearest grocery store– a Giant Foods over 2 miles away– ending at a rally calling for city investment in access to healthy food for every resident. In part 1 of the series, Kiko interviews Dominique Hazzard of DC Greens, who planned the march. Debut Episode: Call Your Girlfriend! Kiko chats with her first DC food friend, Maddy Beckwith, about plans for Lunch Agenda. Kiko's Food News covers how #metoo has come to the food world, and Maddy offers feedback on Kiko's show ideas before the first 'action item' for how listeners can be food activists.